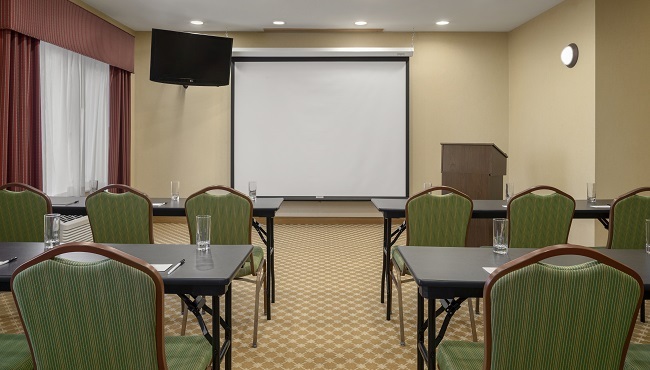 With a location near the BMI airport and a meeting room that nicely accommodates 35 guests, the Country Inn & Suites in Bloomington, IL is ideal for hosting business events, training seminars and social gatherings. 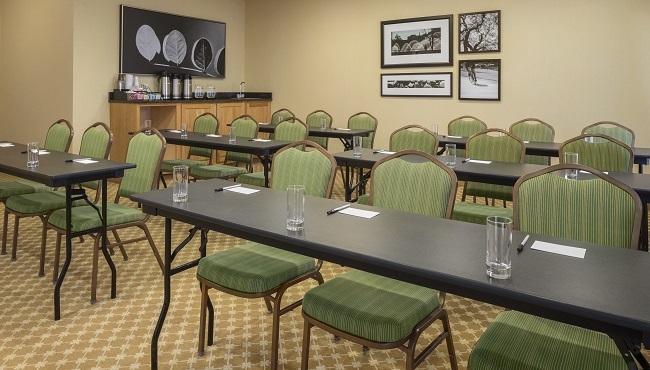 Complimentary Wi-Fi and audiovisual equipment rentals help you deliver an impressive presentation, and flexible seating arrangements can be customized to suit your needs. Guests flying in and staying overnight can take advantage of the hotel's complimentary airport shuttle and enjoy a free, hot breakfast each morning.